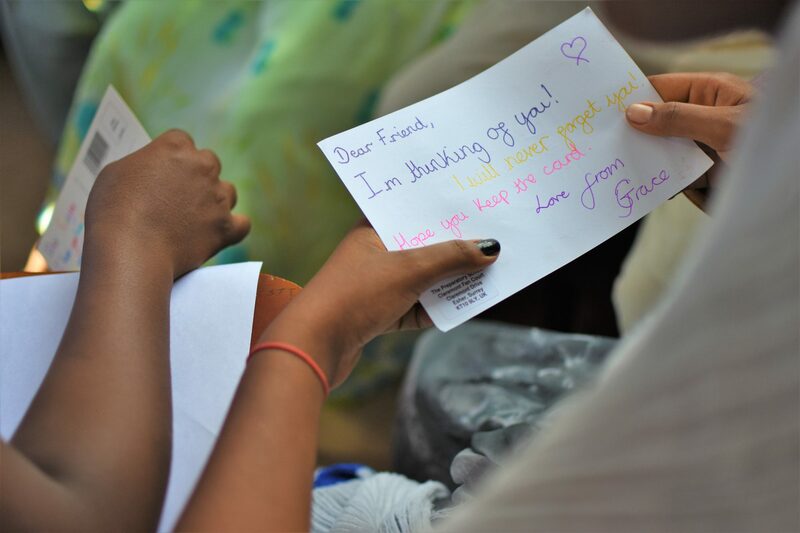 Jesuit Refugee Service/USA and Any Refugee partner to connect children in the US with refugee children around the world by delivering messages of hope and solidarity through postcards. Any Refugee was founded in 2014 by JRS supporter William Scannell IV. The idea for Any Refugee came from a story William heard from his dad about how people used to be able to send letters addressed to Any Soldier. He took this idea and applied it to reaching out to refugee children, with a hope to send them a message of support and comfort. “My trip to Lebanon was very cool and I will never forget it. I met children who had lost their mother or father or who had been out of school for a long time. They were happy and surprised to read our postcards and to know that we care, ” said William. Through this partnership with JRS/USA, Any Refugee reaches refugee children across the globe. William will continue to speak with, and engage, communities in the US on the needs of refugee children drawing attention to this important issue. Children in the US are encouraged to write postcards to their counterparts across the globe and JRS will facilitate sending the postcards to the children it serves.